Welcome to the new and improved TGA! Besides our shiny new layout, there are a few exciting changes to point out. First, we are making the full transition to a group blog. Over the next few days we’ll be going over what that means in a series of short posts, but the long and short of it is that we’ll be having more posts, coming from more contributors, on a wider variety of topics. This is a good thing, something that we can all enjoy. We’re also expanding our ideas about what the site can be. 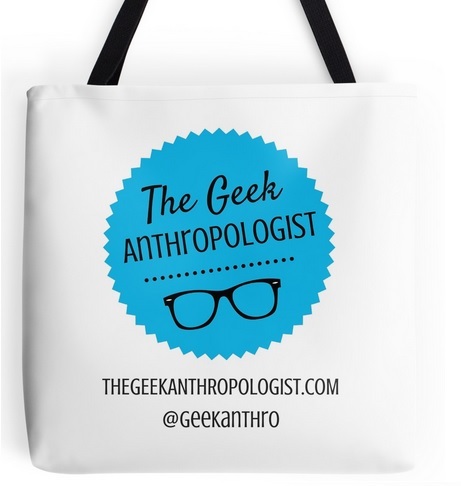 The Geek Anthropologist is all about intersections between social science, cultural analysis and practice of anthropology with geek culture, whether they be embodied, literary, cinematic or cybernetic. Those of us that started the site all identify as anthropologists, and we think anthropology has a lot to offer for understanding geekdom, but as you’ll see, we’re drawing in contributors from *gasp* other disciplines as well. Basically, we’re your one stop shop for culturally informed analysis of geek culture and things that geeks love, from whatever discipline that’s done. So sit back, relax, get caught up on one of our series that you always meant to read (maybe The (Fake) Geek Girls project? Lessons to unlearn from ST:TNG?) and let us know what you think about the new layout in the comments.